It is no secret that a high fiber breakfast can help your body to work smoothly throughout the day. But also if efficient weight control is your goal, then starting your day with plenty of fibrous foods can’t be praised enough. One thing is evident, to ensure that we stay full for a long time after a balanced breakfast or brunch, the dietary fiber content of the meal must be high. As a result, the blood sugar level rises only slowly, little insulin is released and the drop in blood sugar level after digestion is mild and gentle. In this blog post, I’ll share 5 smart tips and recipes with you for a great start in the day. To better understand the importance of breakfast as a crucial source of fiber, let’s first take a look into our gut. The body’s own microbiome releases vital vitamins and fatty acids from the dietary fiber. This contributes to boosting the body’s immune system and forms a protective barrier against harmful bacteria and fungi. Most dietary fibers belong to the group of carbohydrates. Because the stock for this nutrient is emptied during the night, the carbohydrates for breakfast are particularly important. Empty carbohydrate storage leads to a rapid release of insulin, and thus to cravings. Fast carbohydrates are also quickly burned and make you feel hungry again in no time. The better choice is to opt for high fiber foods with complex carbohydrates I’m presenting you in the following. Whether warm or cold, with sliced fruits, nuts or seeds – an oatmeal breakfast is very versatile and above all very quick to prepare. 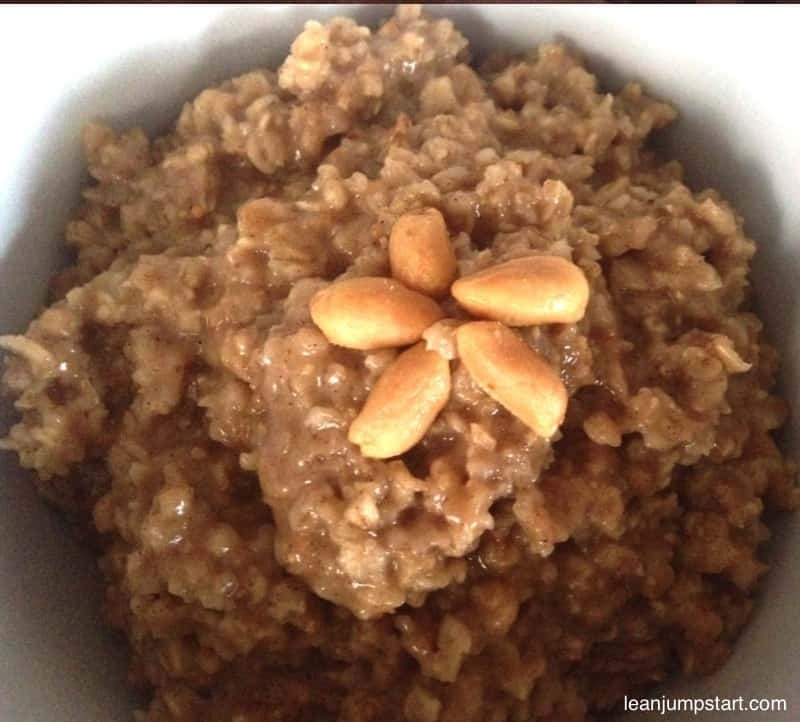 If you don’t have much time in the morning, you can soak the oatmeal the day before or pre-cook the porridge and store it in the fridge. And that’s not all (you’ll notice, I’m a real fan!). Besides fiber and iron in oatmeal, it’s also high in protein which will keep you satiated for a long time. Especially the use of berries together with oat flakes increases the amount of natural roughage food in this special morning meal. Have I convinced you? Then I have four delicious oatmeal breakfast recipes for you. Enjoy! If you are not a morning person then a smart idea is to drink just a smoothie in the morning. This could be as easy as to mix several types of fruits together. My favorite fruits in this context are berries, which I have always at hand in my freezer. You can maximize the roughage content with the addition of oats, chia seeds or flax seeds. Smoothie pros, who love to experiment can even add fiber-rich vegetables and greens. Such a breakfast smoothie supplies besides complex carbohydrates and dietary fibers, also proteins, calcium, and magnesium. The result is a high fiber breakfast for weight loss. 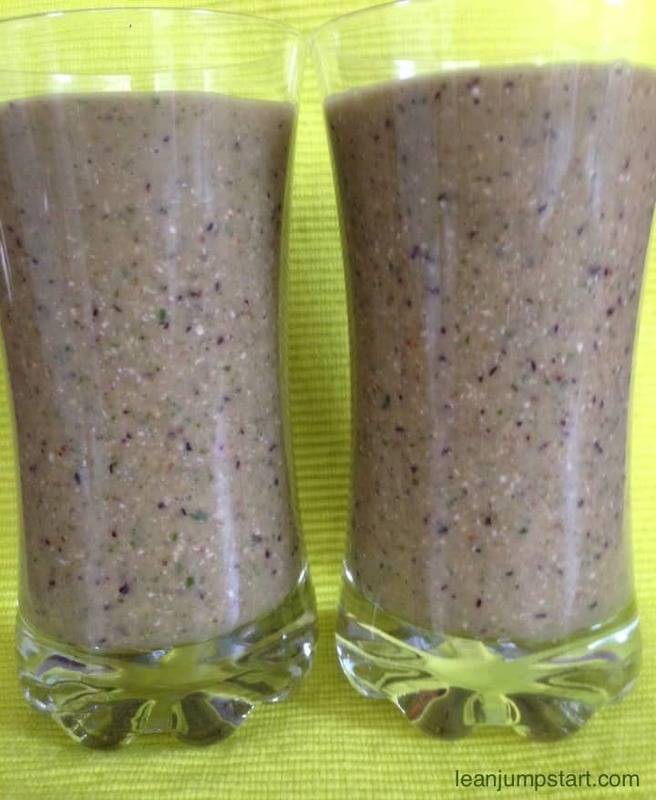 Click here for my nutrient loaded breakfast smoothie, which consists of 7 whole foods. I recommend topping your bread with a nut butter like peanut or almond butter. Consider also other plant-based spreads with seeds, legumes, vegetables, herbs, spices or fruits. Click here to get some inspirations for clean eating spreads. 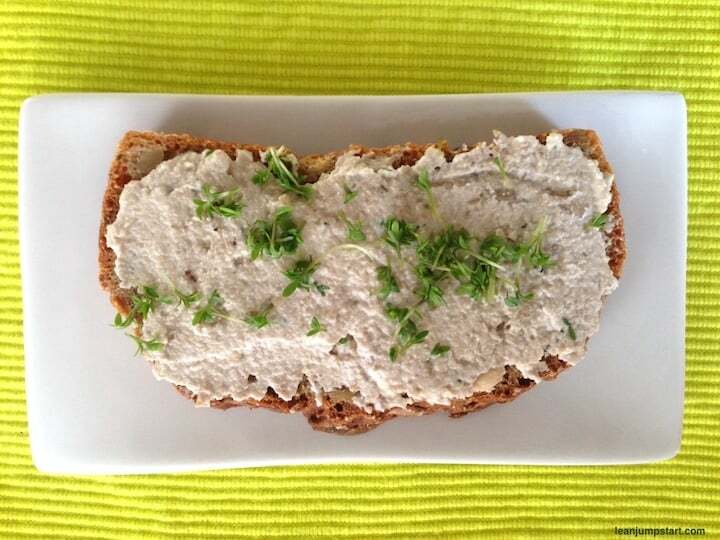 On the photo above you see a slice of homemade whole wheat bread with our beloved watercress sunflower seed spread. For the sweet tooth, I highly recommend my roughage rich chia seeds jam. Fact is that animal-based foods don’t contain any fiber per serving. The same is, of course, true for eggs. So it is no coincidence that I share mostly plant-based breakfast ideas with you. 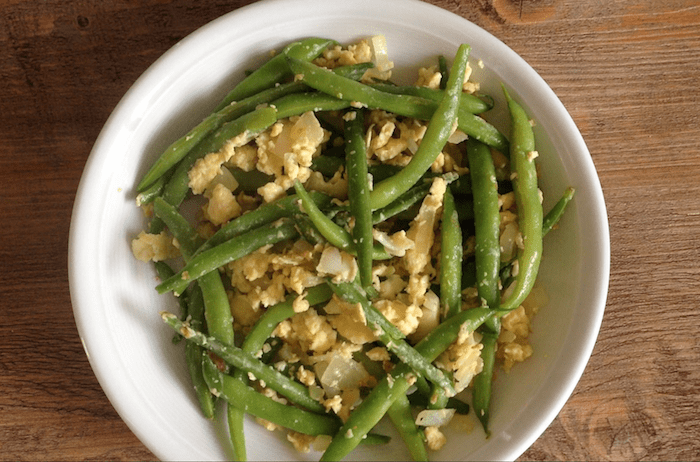 If you love eggs and miss them on my breakfast list you might want to combine them with fibrous green beans or black beans. That way you can easily create a filling, nutrient-dense, protein and fiber breakfast. The addition of whole grain bread or whole wheat toast will further increase your consumption of dietary roughage. I’m aware that this minimalist type of morning meal is not for everybody. Starting your day just with bulk-forming fruits is great if you have little time or a lazy colon. It works best if you know that you’ll get that day a wholesome and filling lunch and dinner. It’s also perfect for you if you think you can’t eat anything in the morning. Green pears or kiwis and 1 liter of fruit tea used to be my best breakfast on the go for many years when I was working in the corporate world. The fiber in pears or kiwis kept my bowels moving and consuming fruits in the morning was quick and convenient. This was important in a time when I spent many hours sitting in my car, commuting to the company I was working for. Maximize your intake of the best fiber foods! Although pears and kiwis are fruits with roughage, you can maximize your fiber intake by spooning passion fruits for breakfast. They contain three times as much of insoluble and soluble fiber than pears or kiwis do. Or how about a cup of raspberries or blueberries with a bit of Greek yogurt? With 6.5 grams per 100 grams of raspberries, the grams of fiber is more than twice as high as in pears or kiwis. The desirable substance in blueberries with 2.4 grams per 100 grams is maybe less impressive and yet every little help. 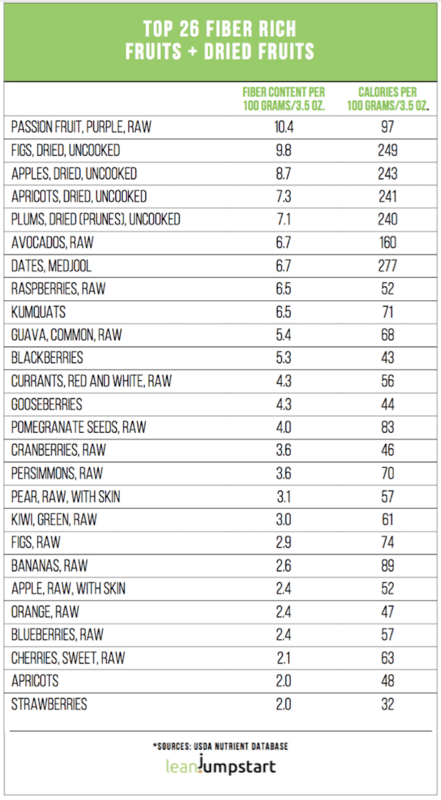 (See chart below) Don’t forget that blueberries contain significantly more flavonoids than raspberries. These are plant-based pigments that act as antioxidants. Worth to mention in this context are also dried fruits like figs, apricots and prunes which make a great, naturally sweet addition to any muesli instead of using e.g. maple syrup. Click through to learn more about my Top 26 high fiber fruits. Do you know chia pudding? Creating a healthy filling breakfast for busy mornings was never easier. With breakfast ideas number 1-4 you can start even a challenging day, the satiation lasts long and the microbiome also gets the necessary nutrients for its proper function. Here comes my last tip for an amazing, fiber-rich start in the day. Chia seeds are known as superfoods with lots of soluble and insoluble fiber. In that context, I highly recommend to check out my carefully selected 30 mouth-watering chia seed pudding recipes for busy mornings or even as a nutrient-dense breakfast option. Great post and some great breakfast ideas here! Thank you Amy. I’m glad that you’ve found my breakfast ideas helpful. These are terrific tips. I know my brother will really appreciate this article post, I am going to send it on to him. Thanks!! Thank you Claudia. I’ll be thrilled if you could send this info to your brother or anybody else who needs more insights regarding a healthful start in the day. Great breakfast tips! I am not great at eating a good breakfast. And I don’t usually have much fiber. Great to know how to add it in! Thank you Danielle. I’m glad that my post could inspire you to create healthier breakfast options. I find that may day starts out much better when I include a high fiber breakfast. Thanks for the insights! That’s the case for most people, Lisa. It could be just a pear in the morning what makes the difference. That was an interesting read, thank you for bringing all the info together. You are welcome Jane. It was a pleasure for me bringing insights into this important topic. I’ll jump on the passion fruit! I always feel I’m lacking a bit when it comes to health and nutrition, so I really appreciate posts like this one. You are very welcome Valentina. 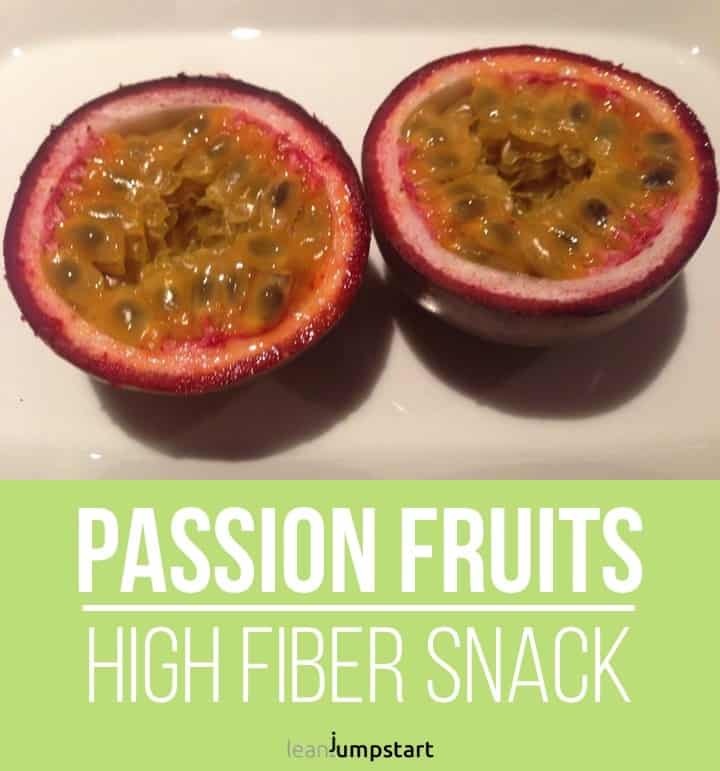 Yes, passion fruits are also one of my favorite high fiber fruits. I’ve always had a hard time getting into breakfast because I am so not a morning person- maybe I need more of those smoothies in my life! Hey Darlene, I feel that smoothies offer a great compromise for those people who can’t make breakfast a habit. You could even fill it up in a bottle and take it with you. That way you have a healthy, fiber rich breakfast at hand whenever hunger occurs. These look tasty and the chart is very helpful! Thank you for sharing! Thank you Jillian, you are very welcome. I’m glad that you find my chart helpful. as for me I don’t eat much in the morning. I totally used to have a huge breakfast with usually bread, cheese, stuff like that. but since changing my eating habits, I only eat some fruit, a smoothie, or a oatmeal bowl after my work out! amazing tips here!! Hey Camila, you are welcome! I’m the same. I’ve also ditched my huge continental breakfast (a long family tradition) many years ago and just feel better with a light, fiber rich start in the day. Lovely! Muesli is a favorite breakfast of mine! Thanks for all this information- I’ve learned quite a bit.